Compact, lightweight design permits easy access to tight areas. Includes safety-lock lever; rear exhaust. Composite tool grip absorbs vibration and reduces cold air transmission to operator. Optional 6 mm collet insert: 18431. 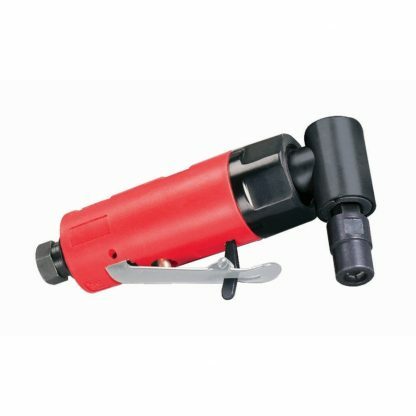 The Dynabrade 18011 .2 hp (149 W) Autobrade Red Right Angle Die Grinder is a Dynabrade tool within the Die Grinder category of tooling range. Burr, Mounted Points of can be used which can also be supplied by DynaShop. 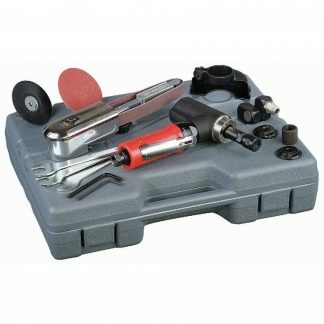 A tool with a maximum RPM of 25000, a power rating (hp/W) of 0.2 (149) with a weight of 0.69kg. 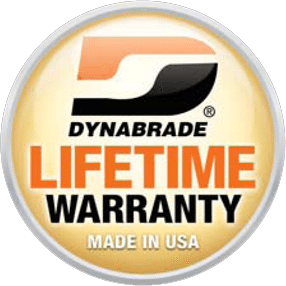 Vibration readings for the Dynabrade 18011 .2 hp (149 W) Autobrade Red Right Angle Die Grinder are dependent on a number of factors that include the abrasive being used, the job in hand and operator experience. DynaShop or Dynabrade cannot be held responsible for the consequences of using the listed values for risk assessment, rather than actual values unique to each situation. Simply fill out the form below and the vibration data for the Dynabrade 18011 .2 hp (149 W) Autobrade Red Right Angle Die Grinder will be sent to your email automatically.